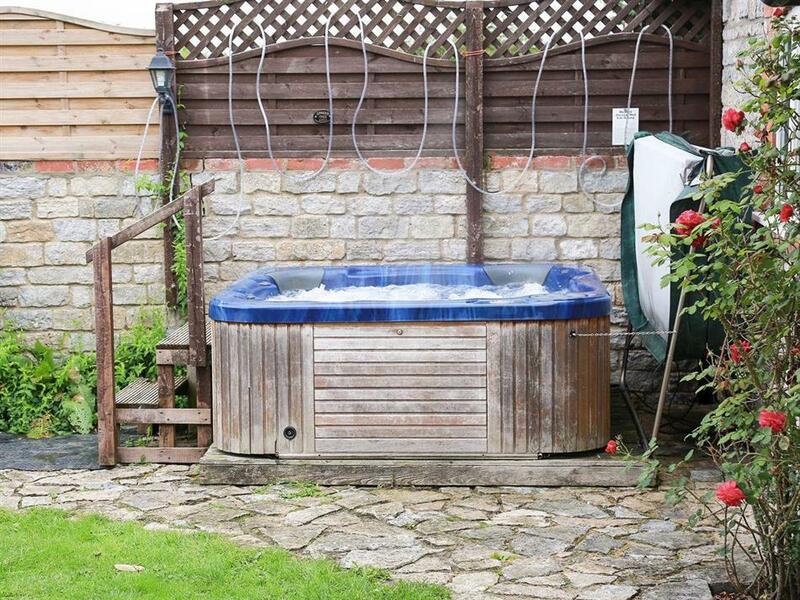 Duck Egg Cottage in South Barrow, near Yeovil sleeps 4 people. 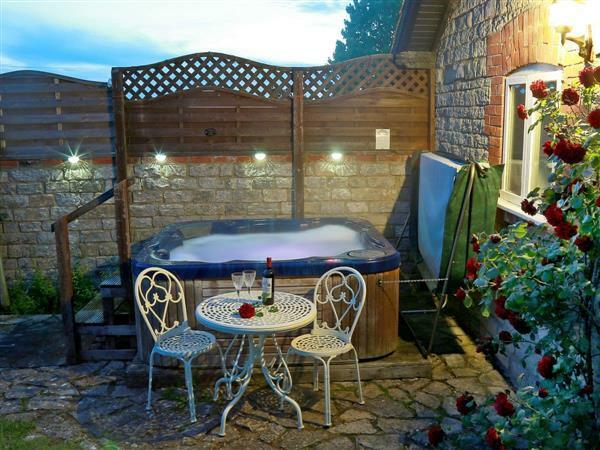 Ideal for south and central Somerset, and set in a peaceful, scenic country location, this mid-terrace barn conversion has a hot tub to relax and unwind in, and offers a great family holiday home. On your doorstep you can visit the famous Haynes Motor Museum, Yeovilton Fleet Air Arm Museum and many historic houses. Glastonbury Tor, Clark’s Village, Longleat House and Safari Park, and the Jurassic Coast are all within easy driving distance. Shop 1¼ miles, pub and restaurant 1 mile. All on ground floor: Living/dining room with double sofa bed (alternative sleeping only), patio doors and beams. Kitchen with beams. 2 bedrooms: 1 double, 1 twin. Bathroom with shower over bath and toilet. Electric woodburner in living room included. Oil central heating, electric, bed linen and towels included. Travel cot. High-chair. Freeview TV. DVD. CD. Electric cooker. Microwave. Washing machine. Enclosed lawned garden with patio, sitting-out area and furniture. Barbeque. Parking (3 cars). Cycle store. Hot tub. Welcome pack. Pets free of charge. No smoking. Holidays run from Friday to Friday. NB: Step in garden. For a better idea of where Duck Egg Cottage is, you can see Duck Egg Cottage on the map below. Duck Egg Cottage is in Somerset; should you be on the lookout for a special offer, you can find all the special offers in Somerset. It's always worth checking to see what is on offer at the moment. Do you want to holiday near Duck Egg Cottage (27191), you can see other cottages within 25 miles of Duck Egg Cottage; have a look to find your perfect holiday location.